Storyteller, librarian and former school teacher, Gail de Vos has been an active promoter of the oral tradition of literature in Alberta for three decades. She is the past president of T.A.L.E.S., The Alberta League Encouraging Storytelling. She tells stories at the Edmonton Folk Festival, schools, libraries, on CBC Radio, and abroad. 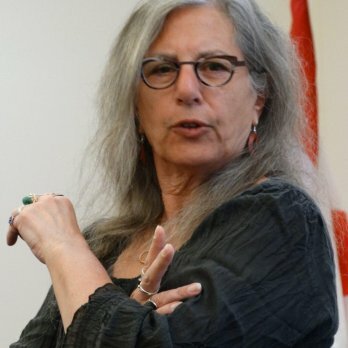 Gail teaches courses on storytelling as well as courses on Canadian children's literature, Indigenous literature for young people, comic books and graphic novels at the University of Alberta in the Faculty of Library and Information Studies. She also conducts workshops on storytelling techniques to enhance public speaking skills at various teachers' conventions and for business communicators. For many years she told stories at Fort Edmonton Park to bring the history of the Edmonton area alive through storytelling and was co-organizer of the annual Storytelling Festival held at the Park for 18 years. Gail is the author of nine award winning resource books on storytelling and folklore in popular culture intended for educators working with students in Grade 6 and above as well as numerous chapters and articles on storytelling and folklore in comics..